Double-deep stacking can increase warehouse capacity by up to 30% compared to “single-deep” warehouse operations. 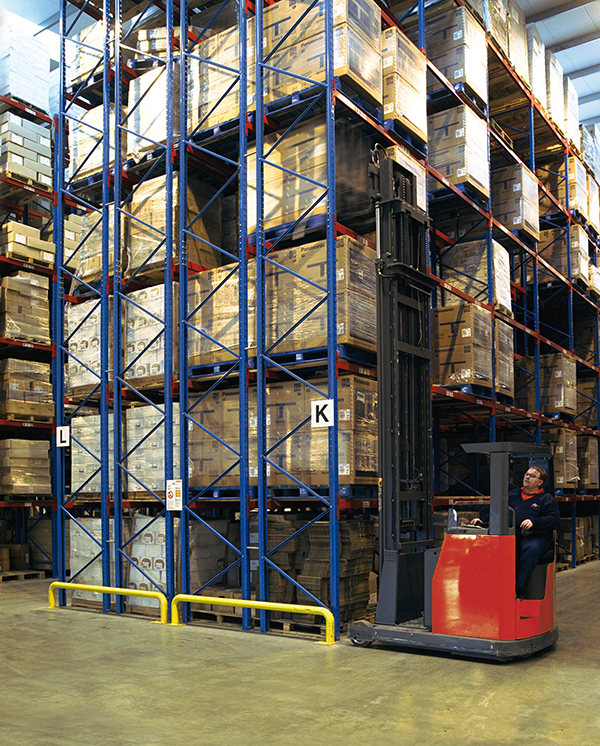 Since telescopic forks can reach nearly twice as far as normal forks, racking can be doubled, (back to back), allowing the lift truck to access all double-deep storage locations from a single aisle. Double-deep storage rack has become a very popular choice in “high throughput” operations as it helps maximize space utilization and improves storage density in order to help reduce operational costs. It’s ideal for both Cold Store and Dry Store facilities where multiple pallets of the same products must be stored and high product turnover rates are conducive to the FILO (First in Last Out) principal. Double deep stacking can be performed with a lift truck with a pantograph as well as with a lift truck with hydraulic extendable forks. Though the use of telescopic forks is preferable to using a pantograph for double-deep applications, pantographs are popular in America, while in Europe telescopic forks are generally used. The reason is most likely historical because telescopic forks are a European invention, or to be more precise, an Meijer Handling Solutions invention. Less weight, (due to simplistic design principal). Higher capacity retention, (less mass is extended with the load). Do not hinder visibility for the operator. No loss of handling speed. Lower maintenance cost due to absence of rollers, bearings and hinge points. Simple mounting and removal, (just like standard forks). Greater versatility, (can also be used as hydraulic fork extensions or for dual load transport). Higher capacity range, (available up to 75,000 lbs.). Do not restrict vertical rack beam spacing (distance between rack storage levels is governed by load height & clearance only, as only the forks extend). Pantograph units may offer an advantage in operations where extremely thin forks are necessary (i.e. low clearance load carriers); however, this is rarely an issue as Meijer Handling Solutions offers KOOI-REACHFORKS® in a special thin series which have a fork thickness of just 40mm/1.6”. The thin forks also make it possible to handle North American GMA type pallets through the low profile side-openings. With the introduction of Single-Range telescopic forks, handling speed (movement in and out) is equivalent to most pantograph type units. Also, in nearly all cases, any deflection can be compensated using the standard tilt function on the lift truck. Telescopic forks can be fitted to almost any type of forklift truck as they simply replace the original forks. There is no need to change the lift truck mast when adapting the forks as the “moment” (Force * Distance) remains the same. For example, if the truck is rated with a capacity of 2000 kg on LC 600mm (4,400 lb. on LC 24”) and the forks telescope out to create an extended load center of 1800mm (71”) capacity will be approximately 667kg (1,470 lb.). 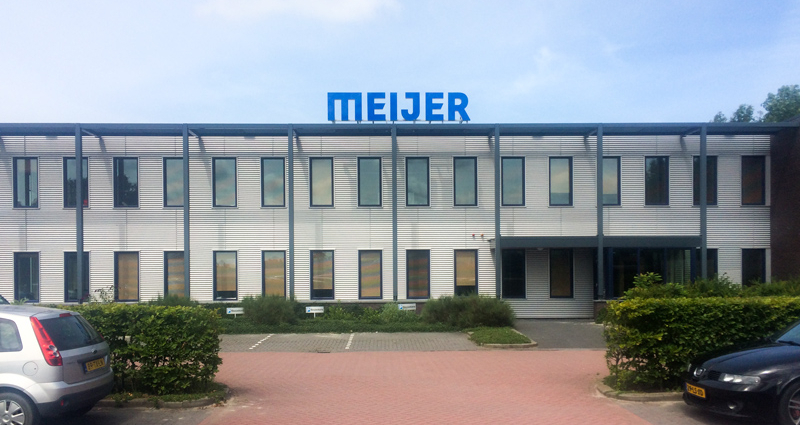 For more detailed information regarding the residual capacity, we welcome you to make use of our online calculation program at https://meijer-handling-solutions.com.